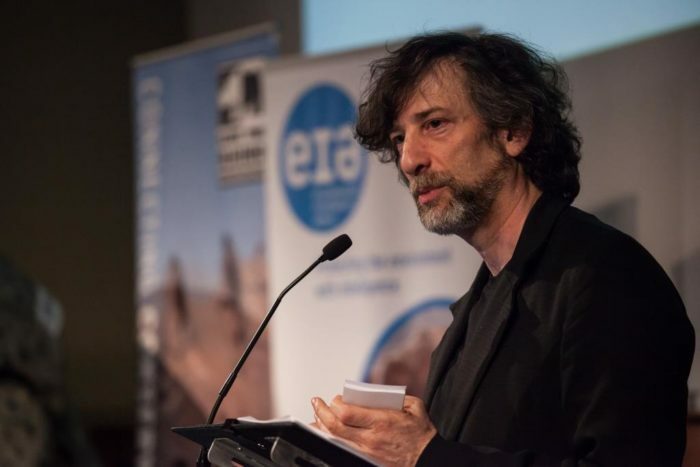 Celebrated author and screenwriter Neil Gaiman last night (March 3) delivered the 13th Douglas Adams Memorial Lecture to a rapt audience at London’s historic Royal Geographical Society. The author of the ground-breaking comic The Sandman, Neverwhere, Coraline, The Ocean at the End of the Lane and, most recently, Trigger Warning spoke of the timeless nature of stories in general and Adams’ work in particular in his lecture entitled On Immortality and Douglas. Gaiman’s talk wove together a blend of fables, history and humour with personal anecdotes of his friendship and work with Adams. The lecture is held annually in honour of Adams who, as well as being the beloved creator of The Hitchhiker’s Guide to the Galaxy, was a dedicated spokesman for conservation until his death in 2001 at the age of 49. The proceeds of the event are shared between the two charities closest to Adams’ heart – Save the Rhino, of which he was a founder patron, and EIA. 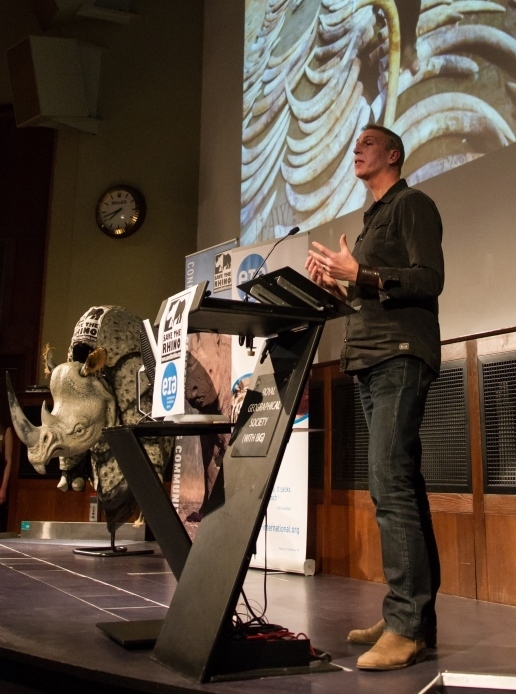 The evening was opened by Adam’s brother James Thrift, who introduced EIA Campaigns Director Julian Newman to outline the work of both organisations in curbing demand for the products of endangered wildlife and exposing the trans-national criminal syndicates behind the poaching and trafficking. The event was webcast live and can be viewed on YouTube here. EIA extends its sincere thanks to Gaiman and to all involved in making the event such a success, including our colleagues at Save the Rhinos and to the volunteers of both organisations who helped out on the night.